FREE Shipping until Christmas on Our Handmade One of a Kind Edition Wooden Wall Crosses! We will ship your Wooden Cross via USPS FIRST CLASS MAIL within 24 hrs after receiving your order. (Limited Edition) We Only Made #35 of this Cross Design to Sell Online! Proudly Display Your Faith with this Unique Mahogany Hardwood Cross Designed by Our Father & Master Craftsman Stan Walker of "Stan's Hardwood" in Longmont, Colorado. "Our Small Family Owned and Operated Business of Over 20 Years! ALL NATURAL WOOD COLORING "NO STAINS USED"
Five Varieties of Hardwood were selected for this "Our Father's Weave: Christian Wall Cross Series". "None of Our Work is Without Flaw. 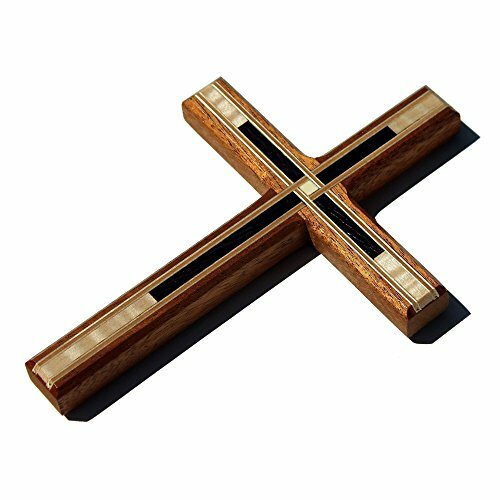 If you have any questions about this product by Walker's FaithWorks - Wooden Christian Crosses Handmade in the USA, contact us by completing and submitting the form below. If you are looking for a specif part number, please include it with your message.